In a March 28 Form 4 filing, two Winnebago Industries Inc. insiders disclosed buying a total of 6,000 shares of the Recreational Vehicle maker at $29.35. Michael Happe, President and CEO of Winnebago (WGO) since January of 2016, bought 3500 shares, increasing his holdings by 7%. Bryan Hughes, CFO since May of 2017 bought 2500 shares, increasing his holdings by 7%. These were the first open market purchases by the two Winnebago insiders. 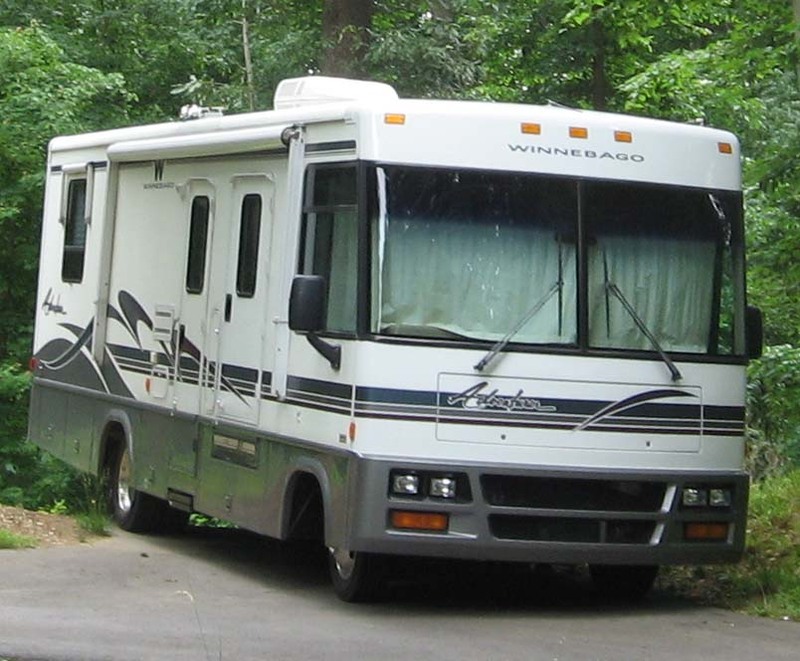 Forest City, Iowa-based Winnebago has been making recreational vehicles for over 60 years. The name “Winnebago” has become synonymous with an American Dream — hitting the road with your RV, living a life of freedom and adventure. However, RV sales have historically been highly cyclical, with big inventories of trailers and motor homes piling up in dealer lots just before the economy softens and consumers forgo luxury purchases. Winnebago stock saw big declines during the last two recessions. The price of WGO during the last two recessions tells the story. From August of 1999 through September of 2000, WGO declined 60%. From January of 2007 to March of 2009, WGO fell 90%. More recently, WGO hit an all-time high of $58.65 on Dec. 18 of 2017, and bottomed at $19.77 on Dec. 17, 2018. That’s a correction of 66%. WGO closed Friday at $31.15. Of course, despite the big sell-off, the U.S. is not in a recession — though an economic slowdown may be developing. Winnebago’s fiscal second-quarter report reflected continued weakening demand in the recreational vehicle industry, though the company fared better than Thor Industries (THO), the industry leader. Winnebago revenues for the Fiscal 2019 second quarter ended February 23, 2019, were $432.7 million, down 7.6% compared to $468.4 million for the Fiscal 2018 period. Operating income was $28.9 million for the quarter, a decrease of 18.0% compared to $35.3 million in the second quarter of last year. Earnings per diluted share were $0.68, a decrease of 1.4% compared to earnings per diluted share of $0.69 in the same period last year. Consolidated Adjusted EBITDA was $34.5 million for the quarter, compared to $39.4 million last year, a decrease of 12.4%. Prior to the C-level execs recent buys, the last Winnebago insider buying was in March through May of 2017, when five separate Winnebago insiders purchased $379,000 of stock at an average of $27.51. Those purchases were well timed — WGO hit $58.65 some seven months later. The Winnebago CEO and CFO aren’t exactly “backing up the truck” and buying WGO stock in size. However, given the low expectations for RV sales in general and WGO in particular, the purchases are noteworthy as contrarian. It’s also typically bullish when two or more C-level execs buy simultaneously. And WGO doesn’t exactly have a nosebleed valuation — it’s forward P/E is 7.67. Short interest in WGO was 4.86 million shares as of March 29. That’s about 16.54% of shares in the float, and about 7 days worth of average WGO volume. So the Winnebago insider buying comes with bets against the shares relatively high. Although Company sales decreased modestly, we continued to materially outpace the industry and expand our year-over-year margins, primarily due to the improved product vitality and profitability of our Motorhome segment and the continued strength and momentum of our Towables segment. Our Chris-Craft business also continues to grow and establish a presence for our enterprise in the growing marine industry. We continue to remain confident in the potential of our multi-branded lineup and the opportunities we have to further leverage our strong position and outperform the markets in which we compete. Could it be that the big selloff investors are expecting from WGO has already happened? Is the market overly negative on WGO? The Winnebago insider buying suggests we should consider that possibility.